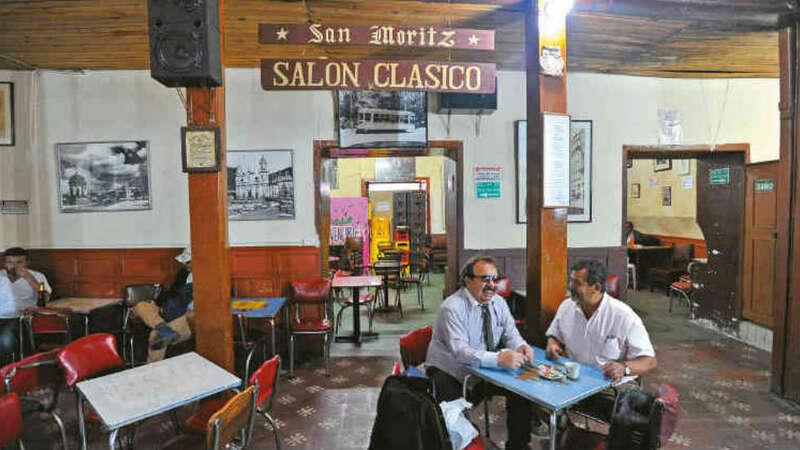 In spite of being arguably one of the most important coffee shops in modern Colombian history, Cafe San Moritz in Bogota has forced to close its doors due to decay. The coffee shop is arguably the most important leisure space in Colombia’s capital; political folk hero Jorge Eliecer Gaitan (1903 – 1948) wrote public speeches there and also Leon de Greiff (1895 – 1976) said he wrote a number of his poems in the 80-year-old coffee shop. However, a decaying building and a failure to obtain the necessary funds for restoration spurred the Bogota city government to order the closure of the iconic downtown meeting point. Opened in 1937 by a member of the Santos political and media dynasty, Cafe San Moritz has since been host to many important guests, particularly in media and politics. As many of chapters in history books, that of San Moritz has ended, leaving behind memories of men-only cabinet meetings, heated journalistic debates, drunkards and coffee stains.